During countless shared lunches and impromptu meetings, Takatoshi Ito made a detailed and persuasive case that sold Haruhiko Kuroda on the inflation targeting regime he’s pursued relentlessly as governor of the central bank. That was back in 1999, when Kuroda ran Japan’s currency policy at the Finance Ministry and Ito was his deputy. Now, the 66-year-old Ito’s combination of academic expertise, policymaking experience and influence at the highest levels in the nation has him discussed among central bank watchers as among those with a chance to succeed Kuroda, or to become one of his deputies at the Bank of Japan should the governor make history by taking another term. As a member of a G-20 task force on global financial governance, Ito is also well-connected with economic leaders around the world. His decades of work on both sides of the Pacific Ocean have seen him forge links with the biggest names in academic and policy circles. Few question Ito’s qualifications, but politics may matter more as Prime Minister Shinzo Abe makes a final call for the top BOJ job that’s never been filled by an academic. Kuroda is considered a contender to get another term in April by a majority of economists in a June survey, while other names mentioned included BOJ Deputy Gov. Hiroshi Nakaso and Ambassador to Switzerland Etsuro Honda, who is seen as having close ties to Abe. Ito won’t say whether he’d take the job if asked, but sees a rocky path ahead for whoever is governor. Ito favors a gradual reduction of the central bank’s balance sheet, in keeping with thinking at the Federal Reserve, which would see it run off bond holdings as they matured. But like Kuroda, he feels that it’s too early to lay out simulations for an exit. This alone could make him unpopular with some lawmakersn in Abe’s ruling Liberal Democratic Party, amid growing unease about the sustainability of the current monetary policy. His call for the government to stick with a plan to increase the nation’s sales tax in 2019 looms as another issue, given the unpopularity of the tax among the public and Abe’s plunging approval ratings. Ito has never been far from the world of global economics, even as a boy. He was born and raised in Hokkaido, where his father, Moriuemon, was a professor of business administration. Ito fondly remembers being surrounded by books in his father’s study, where he first came across works including ‘The General Theory of Employment, Interest, and Money’ by John Maynard Keynes and ‘Lectures on Political Economy’ by Knut Wicksell. He went on to study economics at the prestigious Hitotsubashi University in Tokyo, and then to graduate school, having declined a job offer from the Finance Ministry. He went on to Harvard, where he studied side-by-side with Summers and David Lipton, now the International Monetary Fund’s first deputy managing director. Yellen, the future Federal Reserve chair, taught them macroeconomics. Ito also worked as a research assistant at the U.S. nonprofit National Bureau of Economic Research, befriending Glenn Hubbard, who would co-author a chapter of a book on Japan’s debt problem with him and become his colleague at Columbia. “Taka Ito is an excellent economist with sound views on the Japanese and U.S. economies,” says Martin Feldstein, president emeritus at the National Bureau of Economic Research. Ito later taught at the University of Minnesota, where his colleagues included Nobel laureate Christopher Sims, whose fiscal policy theory has stirred controversy in Japan. With interest rates at rock bottom, Sims advocates greater government spending, and this has been seen by some as justifying softer deficit reduction targets or postponing the sales-tax hike. In 1994, Michael Mussa, the late IMF chief economist, helped Ito land a job as a senior adviser at the fund’s research department. There, he learned to put theory into practice under real-time constraints. “He’s not just an academic, but also a pragmatist,” said Masatsugu Asakawa, the current chief of foreign exchange policy at the Finance Ministry, who worked under Kuroda and Ito. In a 2015 magazine article, Kuroda credited Ito with playing a key role in winning him over to inflation targeting, which was being used elsewhere but met with skepticism in Japan. Kuroda and Ito’s successor, Masahiro Kawai, later wrote an opinion piece urging the BOJ to adopt a 3 percent inflation goal and boost the monetary base through asset purchases. It wasn’t until January 2013, shortly before Kuroda became the BOJ governor, that the central bank adopted a 2 percent inflation target. 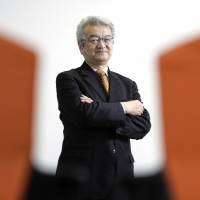 Ito served on a key economic advisory board in 2006 during Abe’s first stint as prime minister, and during his second premiership Ito chaired a panel to overhaul the Government Pension Investment Fund, which saw his skills building a consensus come to the fore. His chance at becoming a deputy governor died in a divided Diet in 2008, with lawmakers criticizing his advocacy of inflation targeting. 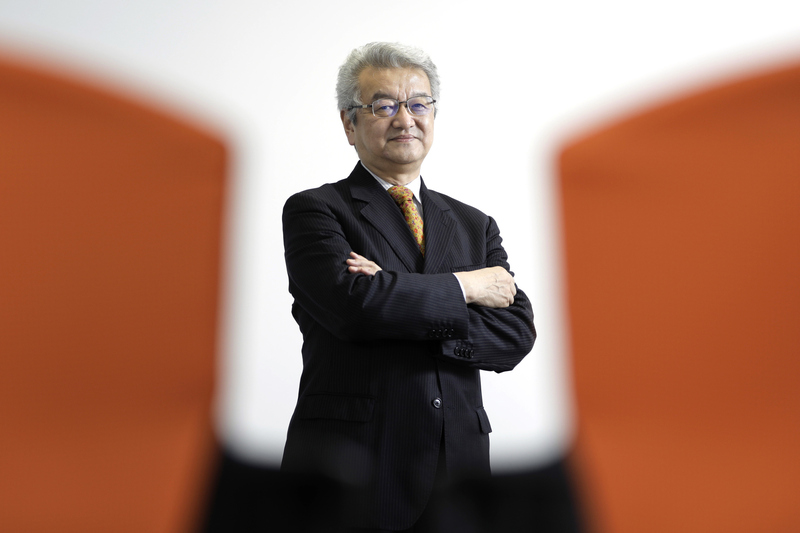 Izuru Kato, a 30-year veteran of Japan’s money market and president of Totan Research Co. in Tokyo, said the pursuit of inflation targeting had gone nowhere. “The policy gets bound by your promise, loses flexibility and an exit path,” said Kato. All the while, Ito’s global network expanded. He serves on the G-20 Eminent Persons Group to review issues relating to global financial governance with Jean-Claude Trichet, former European Central Bank president, and he’s on the monetary policy advisory panel at Federal Reserve Bank of New York with Sims. Hubbard, a potential Federal Reserve chair candidate and Ito’s colleague at Columbia, sees Ito as “certainly qualified” to be BOJ governor. Ito now splits his teaching time between New York and Tokyo. In his spare time, Ito, who plays the violin, frequents Carnegie Hall and Metropolitan Opera. He and his wife Keiko, a pianist, met at a gathering of friends in Minnesota who shared a love of music. They’ve raised two daughters and a son together. Ito is now working on two books, on international finance and Japan’s growth strategy.